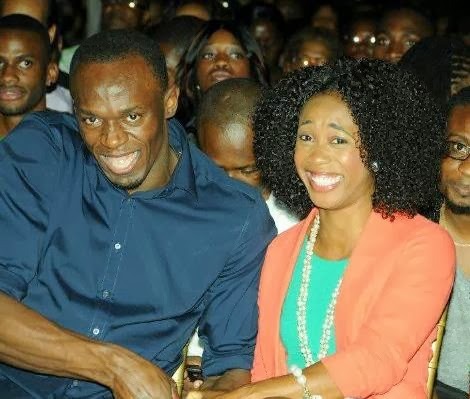 No surprise here: Jamaica's Usain Bolt and Shelly-Ann Fraser-Pryce are considered frontrunners for top honours at the IAAF's Male and Female Athlete of the Year Gala slated for Saturday, November 16 in picture-perfect Monaco, given their stellar performances at this past summer's Moscow World Championships. While the Pocket Rocket is nominated along with fellow wonder women Zuzana Hejnova (Czech Republic) and New Zealand's Valerie Adams, the World's Fastest Man, already a four-time winner of the prestigious prize, is up against repeat contender Mo Farah of Great Britain and the Unkrainian Bohdan Bondarenko. Speaking of high honours, our health minister Dr. Fenton Ferguson will be recognized, during an awards ceremony for outstanding Caribbean professionals in New York this weekend, for his contribution to public service, professional excellence and philanthropy. Dr. Stanley Matthews, nurse Jacqueline Jacobs and Claudette Powell, President of the Caribbean Nurses Association, will also receive awards. Back home, a government-endorsed infrastructural development agreement has received a $250-million boost, set to benefit some 23 high school and community-based sporting facilities across the island. Under Phase One of the project, according to Natalie Neita-Headley, the agriculture ministry will be facilitating the development of 13 schools which fall under the EU Sugar Transformation Programme. Ever on the move, "working, working, working," Prime Minister Portia Simpson-Miller and a Jamaican contingent are in Tokyo, where the the PM has had dialogue with her Japanese counterpart, Shinzo Abe, during a meeting aimed at strengthening bilateral ties between Jamaica and Japan. 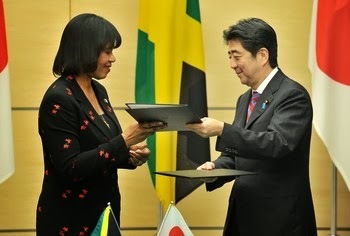 The trip also yielded discourse with big Japanese companies, like Marubeni and Nippon Light Metals, that do business in Jamaica.